Rotarian Tom Horne inducts new member Rajeev (Raj) Batra, a former member of the Rotary Club of Dulles, is the owner of Batra, LLC, Certified Public Accountants in Ashburn, VA, where he lives with his wife, Neeru. He focuses his practice on offering tax, accounting, and consulting services with a special interest in helping small and medium-sized businesses. In his spare time, Raj enjoys reading, traveling, and watching sports. He lives by the motto "Carpe Diem!" 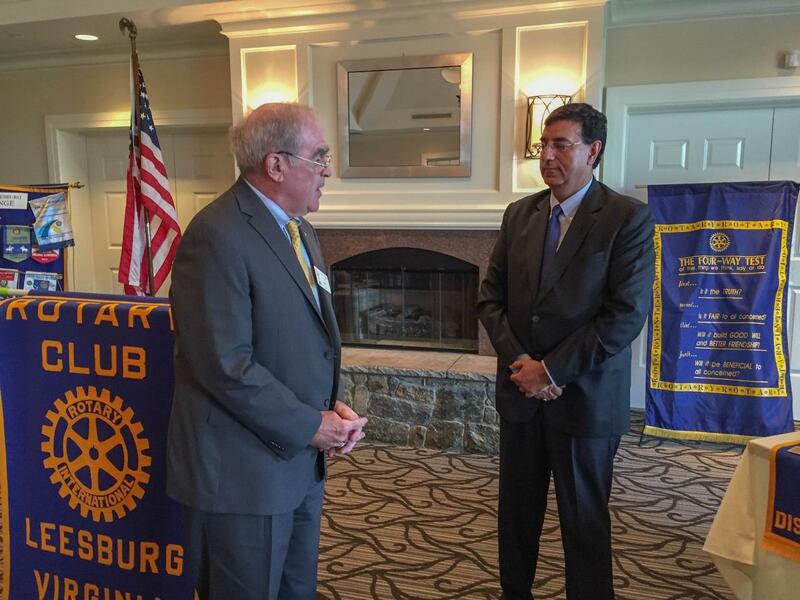 and looks forward to sharing his enthusiasm for life and Rotary with the Rotary Club of Leesburg.